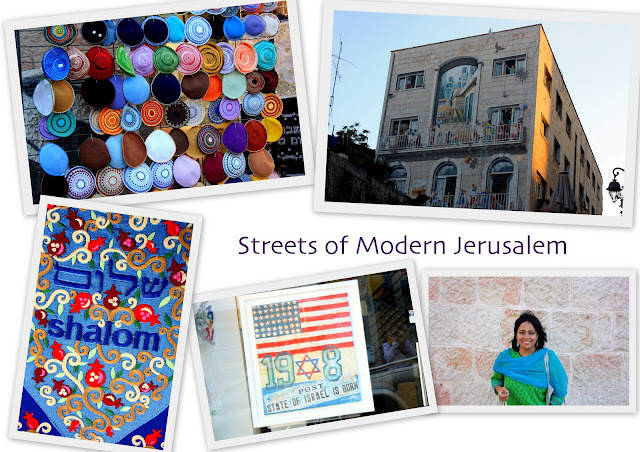 As the birthplace of some of the world's major religions, Jerusalem has plenty to offer to tourists. 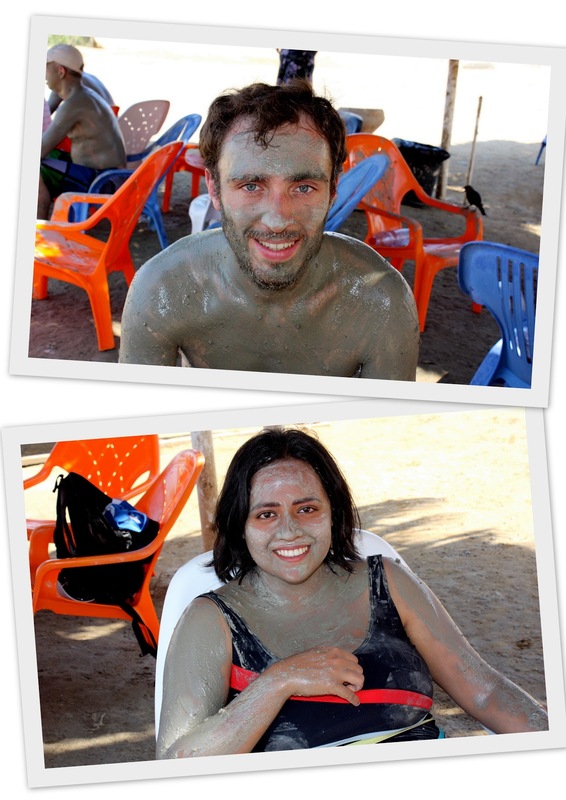 As we thought it would be the highlight of our trip, we planned to spend four full days there to make sure we had enough time to cover every single thing without having to rush. As soon as we reached Ben Gurion Airport in Tel Aviv, we decided to take a shared taxi to Jerusalem. 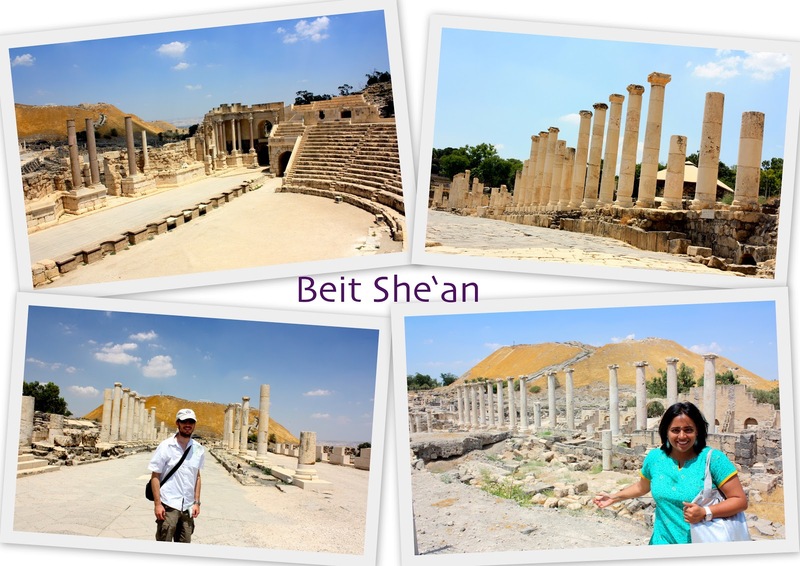 It took about an hour to get there and we were dropped off at the Arab part of the city as that was where our hotel's located. 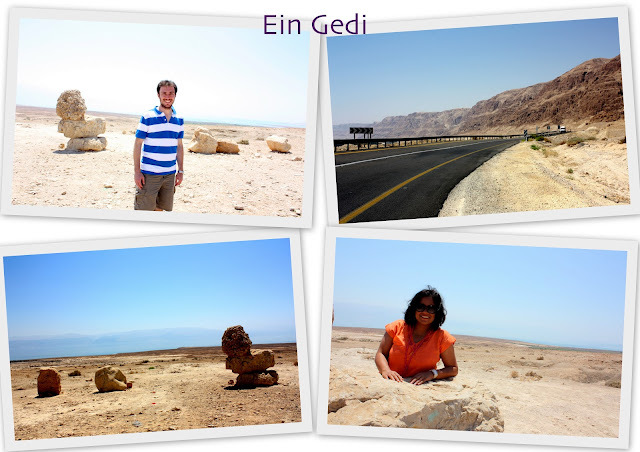 It is quite expensive to travel in Israel and hotels especially charge a lot. Our hotel in Jerusalem is not worth mentioning at all as it was terrible and very expensive. The only good thing about it was that it is located close to the old walled city and as we spent much of our time outdoors, the hotel quality didn't really matter. 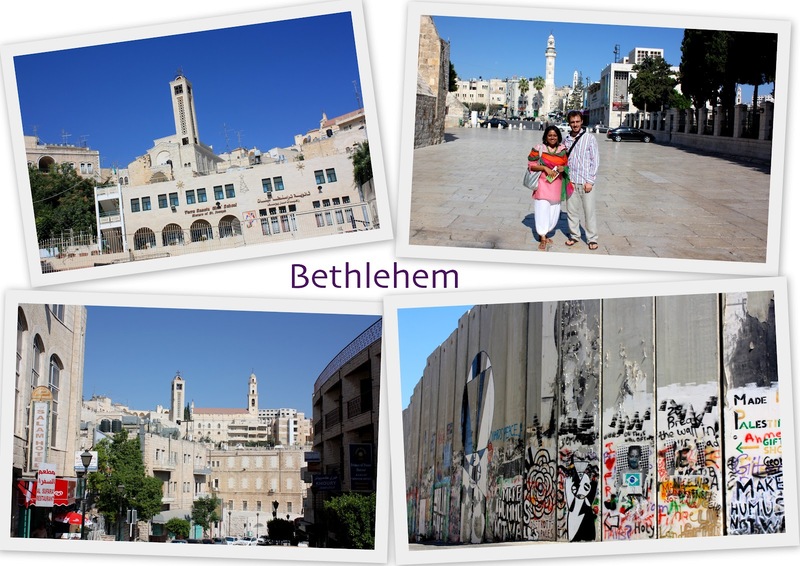 Jerusalem is split roughly into two parts - the old walled city and the rest of the city which is modern. The old walled city is where all the historical sites are located. These 16th century Ottoman walls almost feel like they are protecting the treasures of Jerusalem's rich history, cultures and religions. 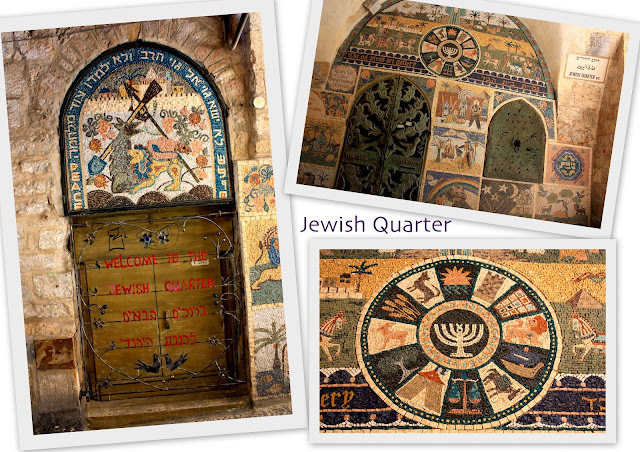 The old city is divided into four quarters: Arab quarter, Jewish quarter, Christian quarter and the Armenian quarter. 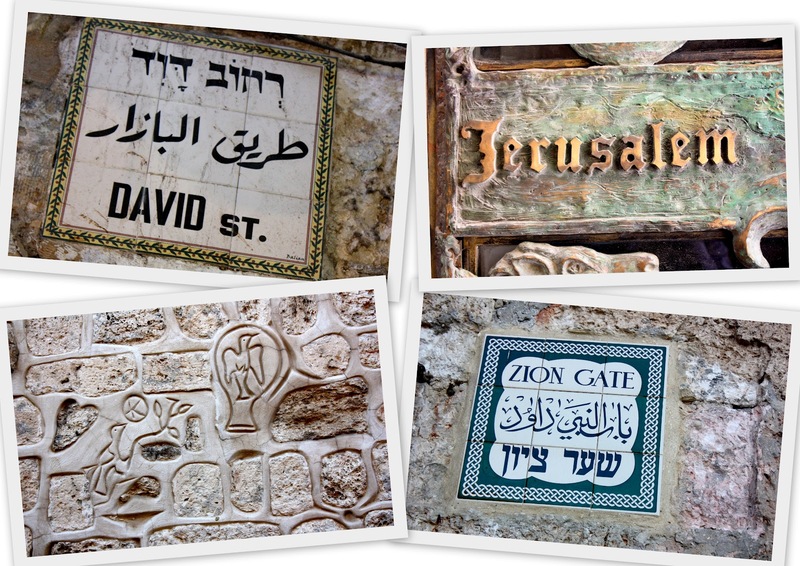 There are several gates for the different quarters through which you can enter the old city. 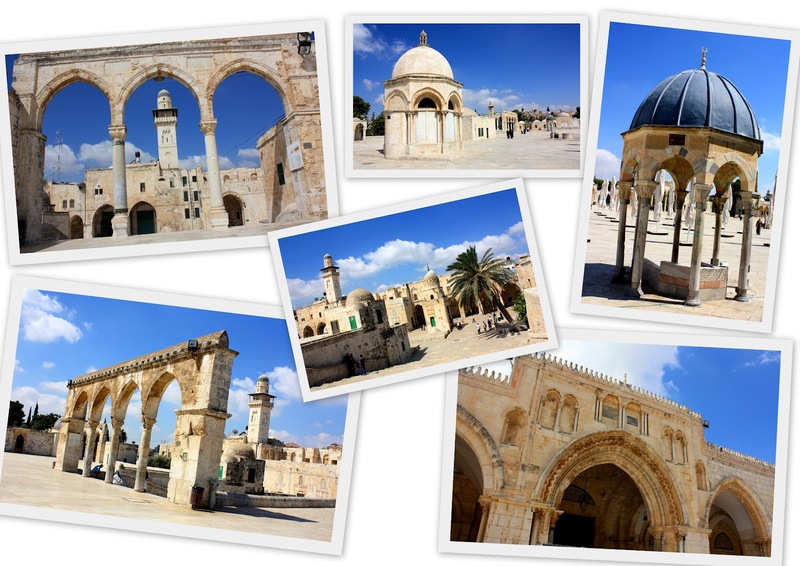 The Arab quarter is the largest by size and population and this is where the famous Al-Aqsa Mosque is situated. 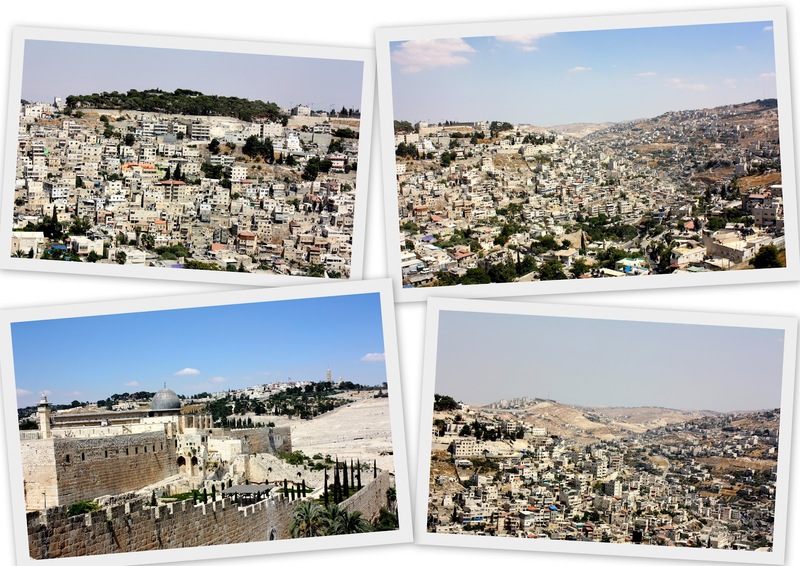 My first impression of Jerusalem's old city was that I felt like I was in a whole different country each time we went from one quarter to another. When we first entered the Arab quarter, it seemed like a very typical Arab city with the souks and bazaars, people bargaining, the aroma of freshly made felafels, people covered in veils and other head gear, and the sounds of the Islamic call for prayer. Other than tourists, we hardly saw people of other communities there. 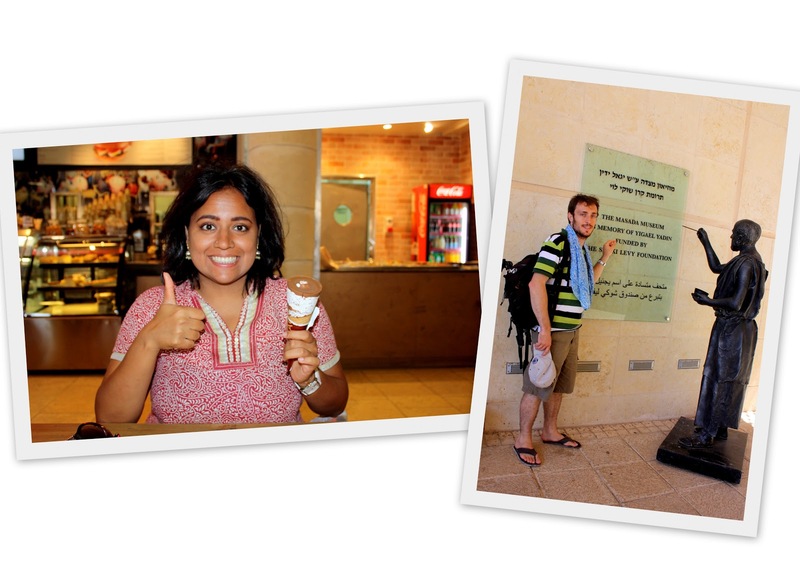 As we made our way through the labyrinth of souks, we ended up at a security check point - to enter the Western Wall Plaza of the Jewish quarter. That's right! Within just one city, there are security checks to enter and leave this place! Once we got to the Jewish quarter, the first place we headed to was the Western Wall. 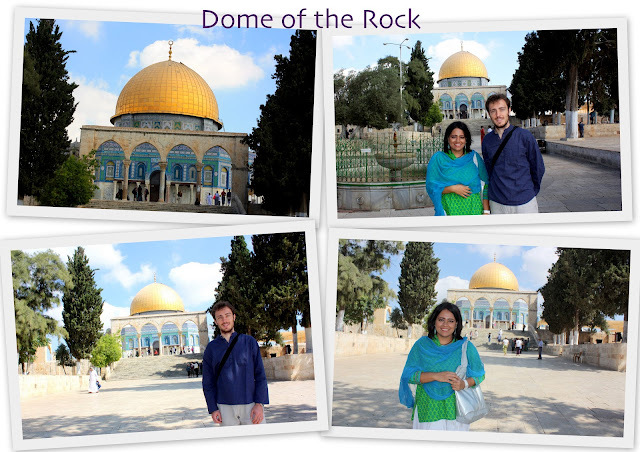 It is the holiest place of worship for Jewish people as it is the closest they can get to the Temple Mount (also known as Dome of the Rock). 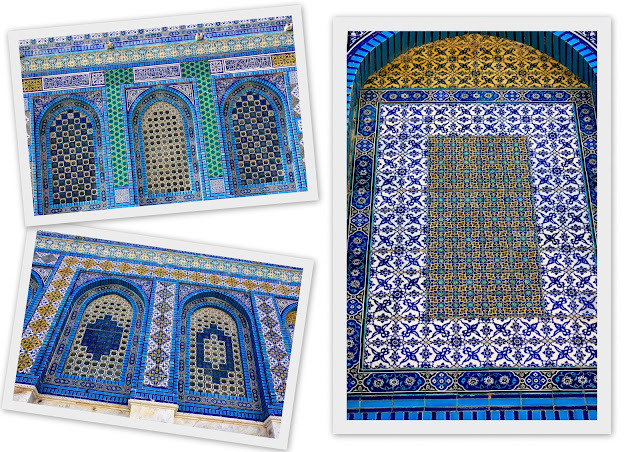 The Temple Mount is where the foundation stone is set, the point at which Jews believe the world was created. It is also the place where many significant Biblical events took place. 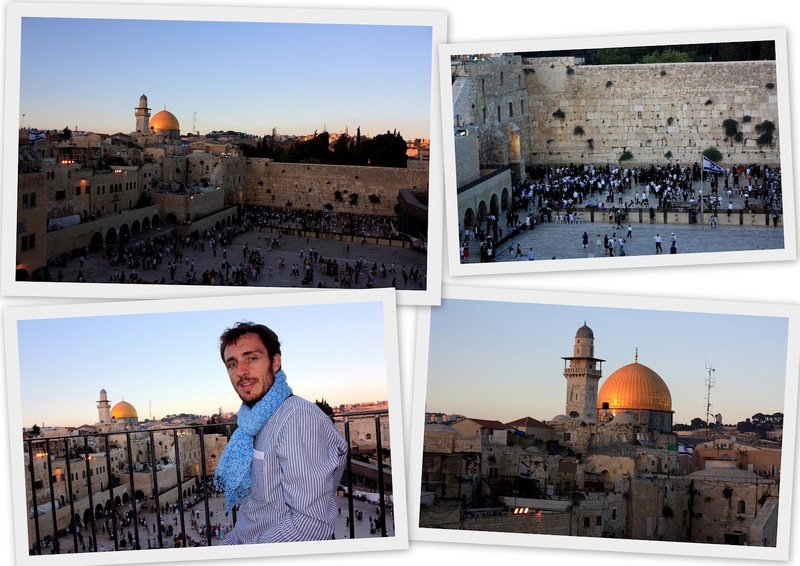 The temple was destroyed by the Crusaders and the Jews were exiled from 70 A.D.
Jews have since not been able to enter the Temple Mount and as a result the western wall surrounding the temple compound has become the most important site in Judaism. Devotees come to the wall to mourn the destruction of the temple and leave prayer notes or messages in the cracks between the stones. They cry out of sorrow for the fate of the Jews and it is for this reason that this wall is also known as the Wailing Wall. Men and women pray separately and the area is divided into two sections. Anyone can enter as long as they are properly attired and men should cover their heads (kirpas are available to borrow). 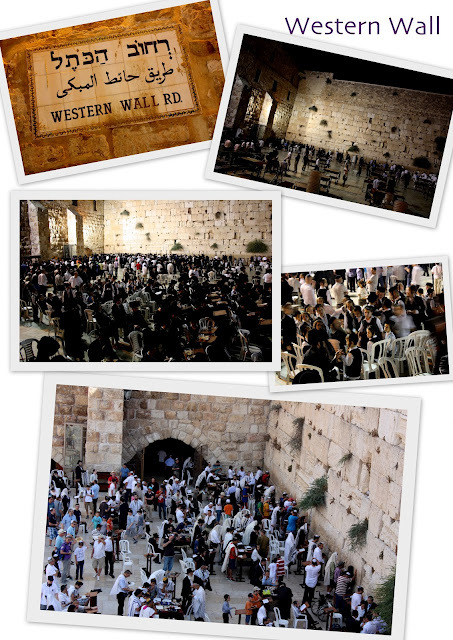 During Sabbath (Friday night to Saturday after sunset), large groups of Jews come to pray, sing, dance and eat together. During this time, no photography is allowed. I was truly intrigued by the Jewish quarter. It is so distinct from the rest of the old city - there were barely any Arabs in sight, devout Jews walked around in their black suits, hats, kirpas, beards and long sideburns, families with as many as 6 children gathered together to pray and sing. And during Sabbath, not many people ere out in the streets and all restaurants and cafes in the quarter were closed. But we could hear people from their homes, enjoying their day of relaxation. The Jewish quarter also had a lot of Americanized cafes, probably because of the large American Jewish population. I got to talk to Hava, one of the caretakers of the Western Wall and it was fun learning more about Judaism from her. I even slipped in a prayer note into the wall! 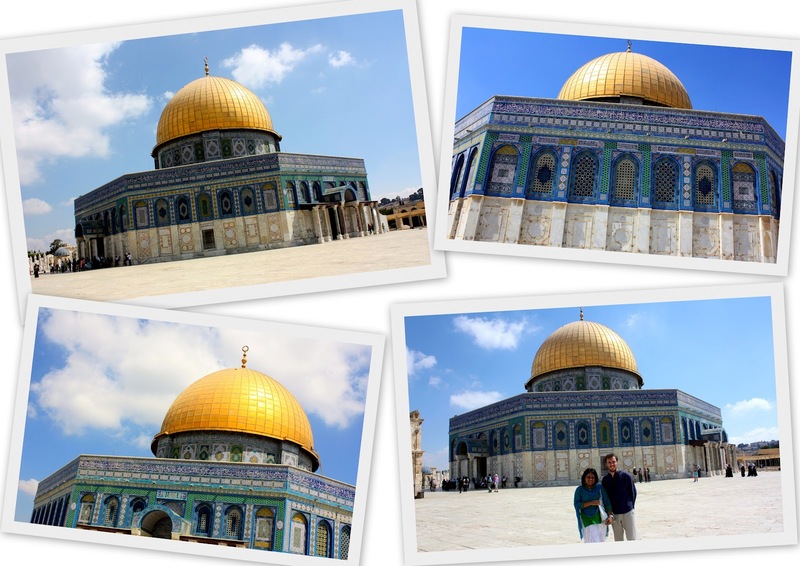 Just as how the Temple Mount is important to the Jews, it is known as the Al-Aqsa Mosque to Muslims and is revered as the third holiest place in Islam, after Mecca and Medina. Muslims believe that this is where Prophet Mohammad ascended to heaven and received the Quranic verses from Angel Gabriel. Although non-Muslims can enter the compound, only Muslims may enter the mosque. 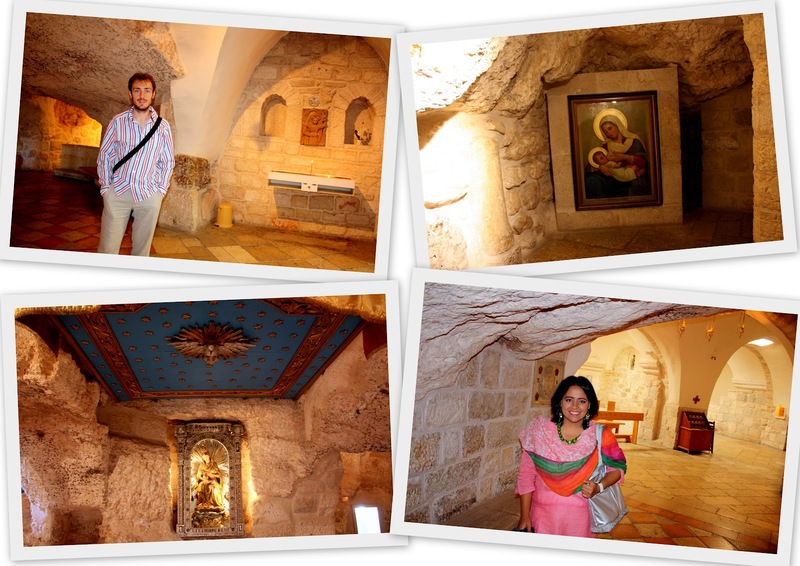 Finally, Jerusalem is also an extremely important site for Christians. 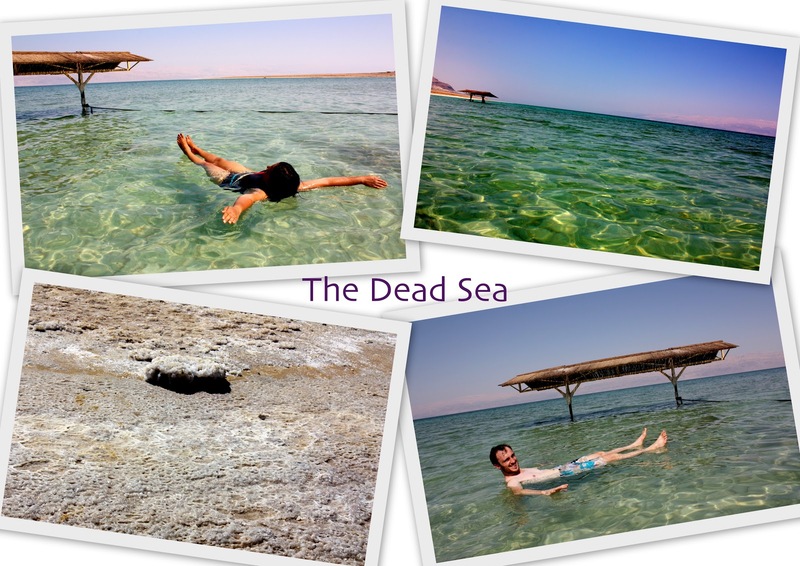 This is where Jesus spent his last days and was crucified. 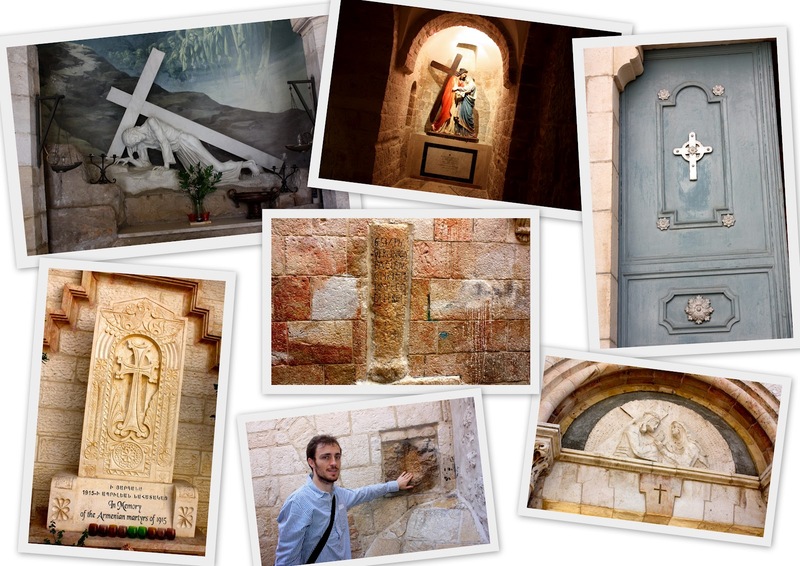 Via Dolorosa, meaning the Way of Grief or Suffering, is a path within the old city where Jesus carried his cross on the way to his crucifixion. 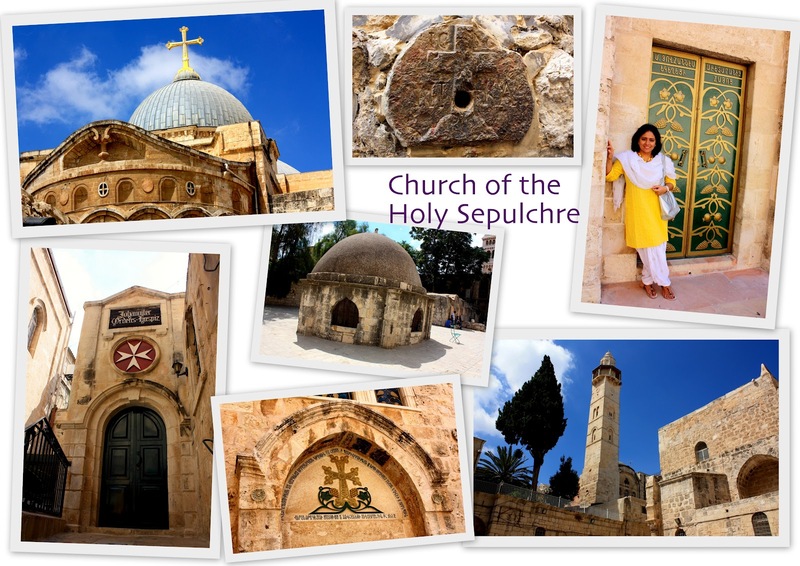 There are a total of 14 stations along this path, nine of which are outside and the remaining five are inside the Church of the Holy Sepulchre. Each station relates to an important event that occurred during Jesus' journey. Via Dolorosa is filled with Christian pilgrims from all over the world and it is very common to hear them sing Christian hymns in groups. 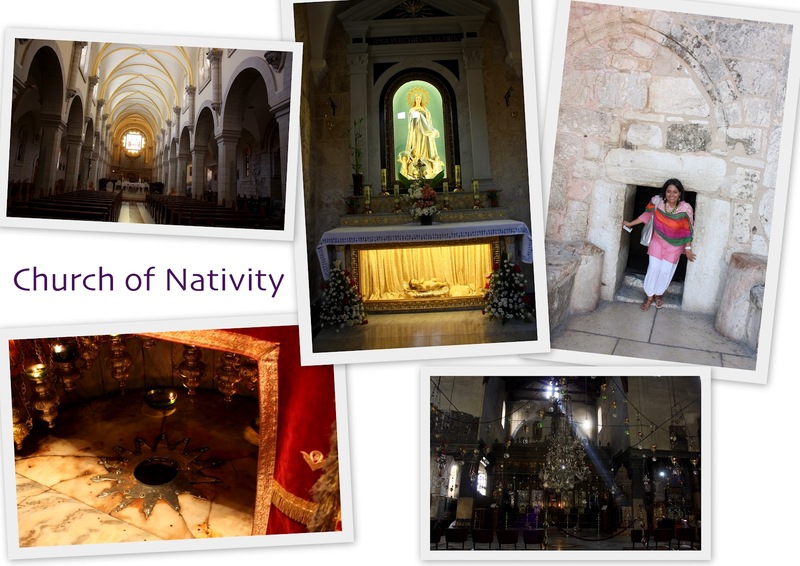 We also wanted to follow Jesus' footsteps and stopped at each station to learn more about what had happened. 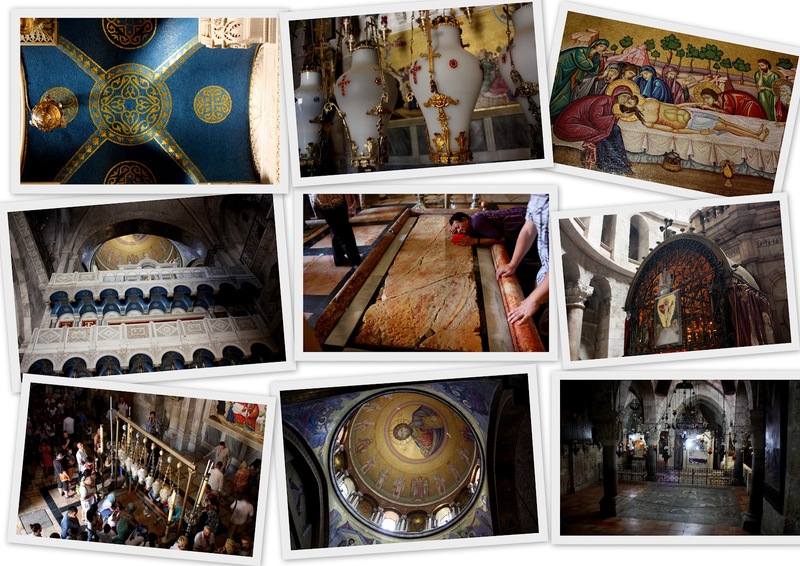 We finally got to the Church of the Holy Sepulchre - a beautiful place filled with lots of emotions from the pilgrims. These are the major attractions in Jerusalem and it does take time to go around and learn about the different religions and cultures. When we went to the modern part of the city, it seemed like any other city, bustling with music, people, cafes and restaurants. 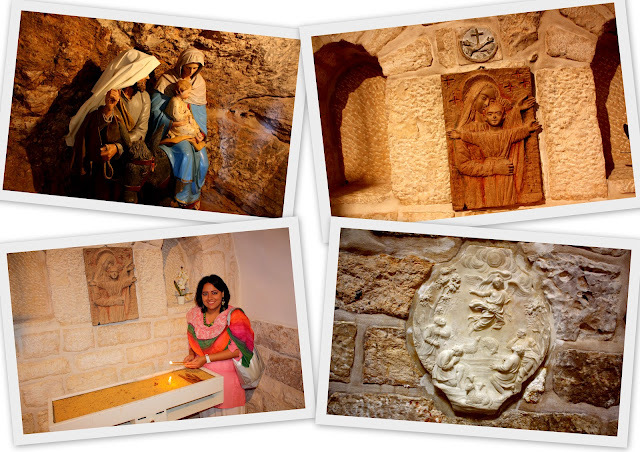 We also visited the City of David, which is not far from the Jewish quarter. The main attraction there is to walk through the underground water tunnels just as the residents of Jerusalem did when the city was conquered. It was quite a thrilling experience to walk 45 minutes through the freezing cold water! 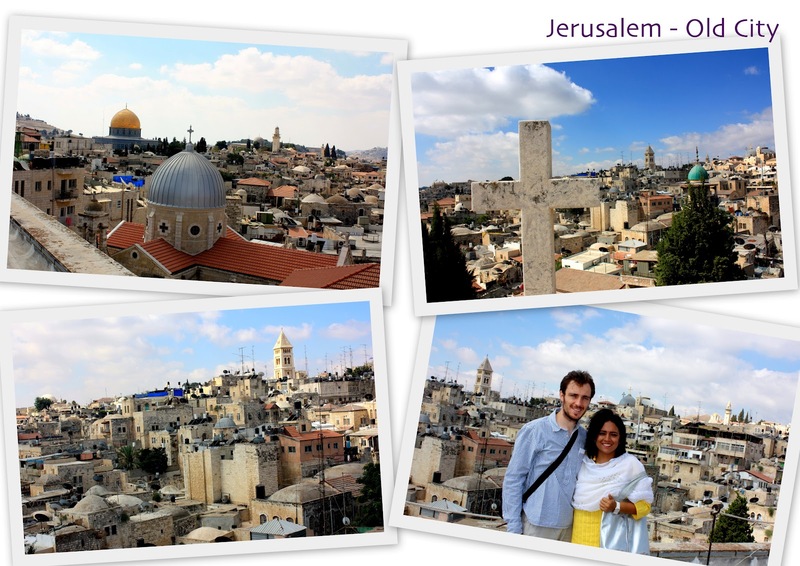 We also visited the Mount of Olives and saw the Russian church and also had a nice stroll to Mount Zion. 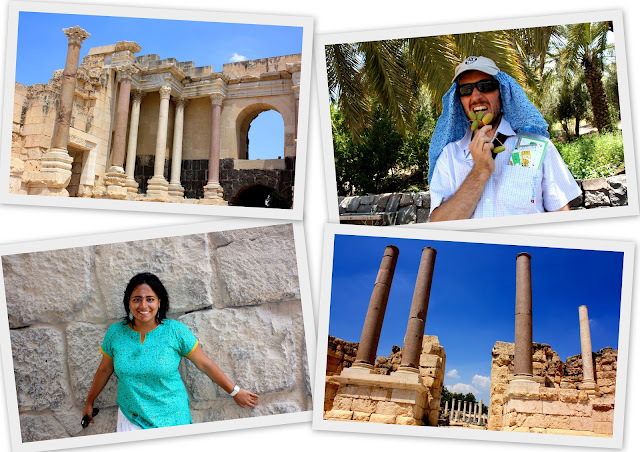 All in all, discovering Jerusalem was a fantastic experience and I thoroughly enjoyed every second of my time there! 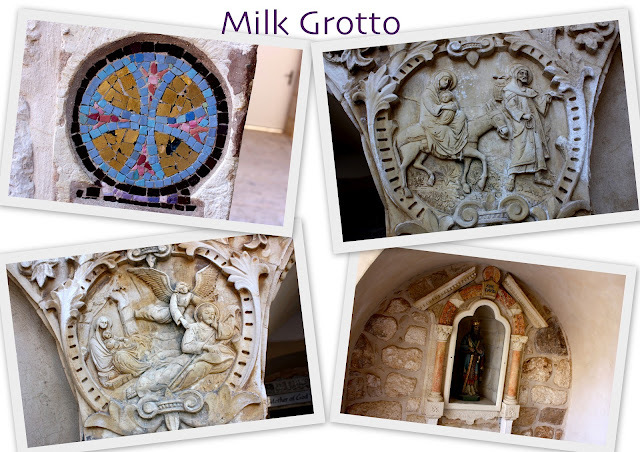 I learnt so much about the different cultures and religions of each community and find the place so diverse. I did feel that each community kept to themselves and it almost seemed like there was a rule for them not to be in another group's quarter. The way I saw it, it seemed like there was a lack of trust and people seemed guarded about their own identity. 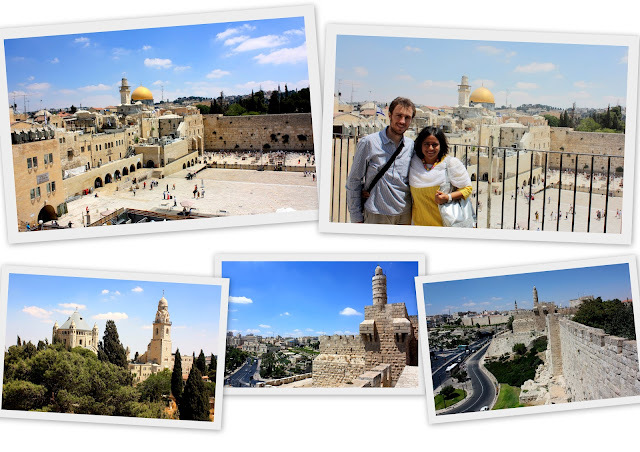 Even if it is a place that often faces tension, Jerusalem is truly a city worth visiting and exploring! 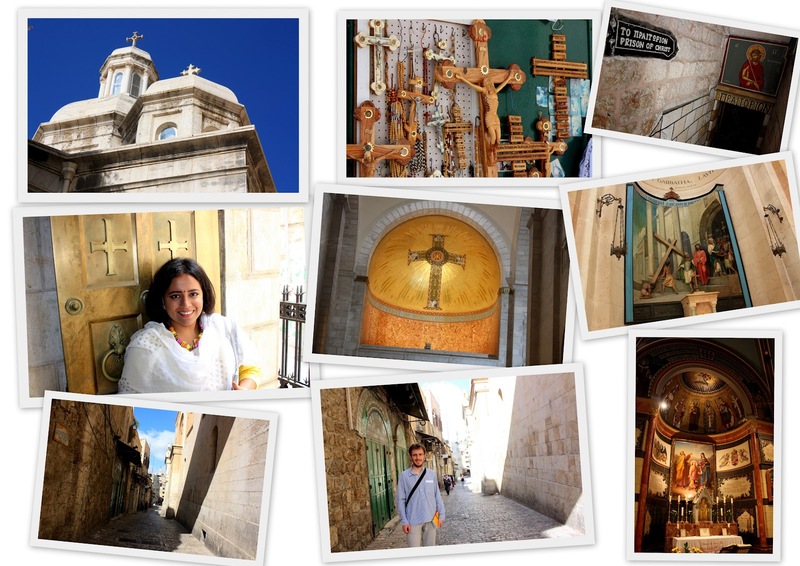 Watch my video of Historic Jerusalem here! 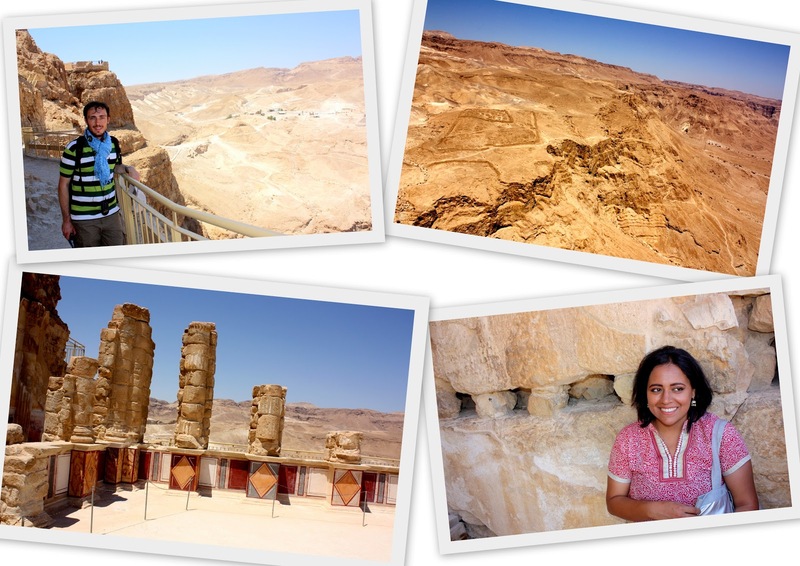 Although Israel has been in the spotlight for its religious significance and political climate, it was only when I worked at a travel company that I got interested in the country. 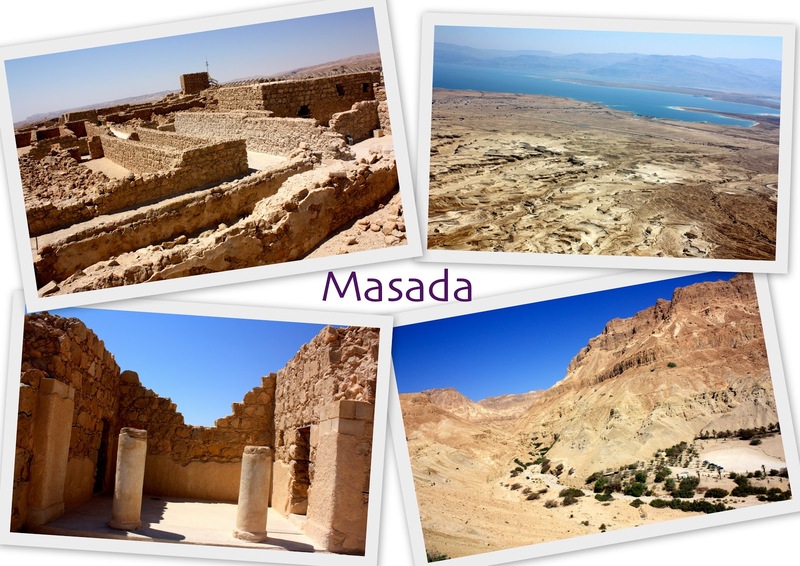 The numerous brochures that contained tours to Israel showed amazing photos and the itineraries contained several amazing sites and experiences. The more I looked at the brochures, the more I felt the urge to visit this unique country. 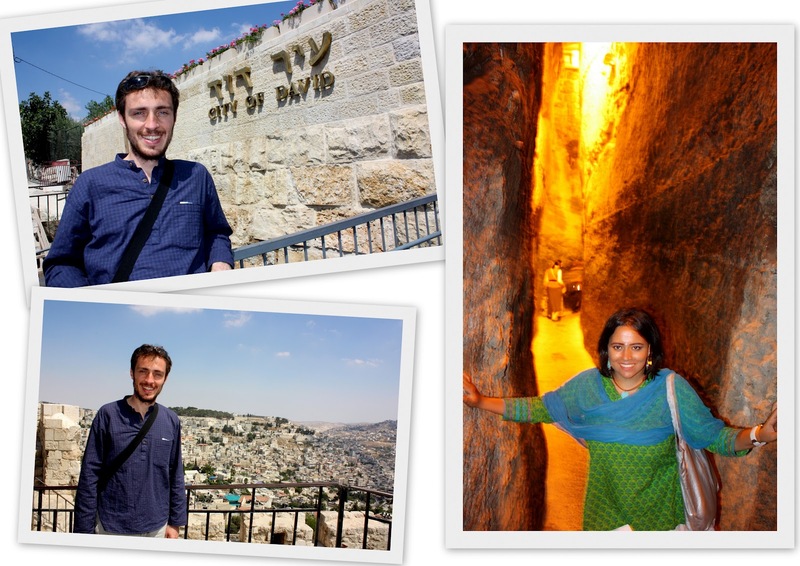 I never knew much about Judaism or Christianity and with Israel being the birthplace of these religions, I thought that traveling there would be a great way to learn about these different faiths and the distinct cultures of the country. 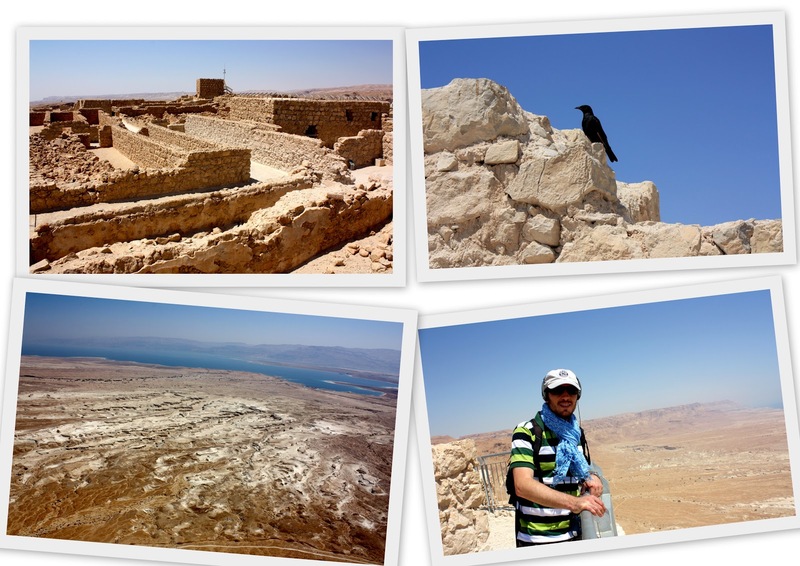 We skipped the desert and Eilat as we'd already done a desert trek in neighboring Jordan and felt it wouldn't be necessary this time. Entering Israel was actually quite a breeze! We were just asked basic questions and could then finally start our adventure! 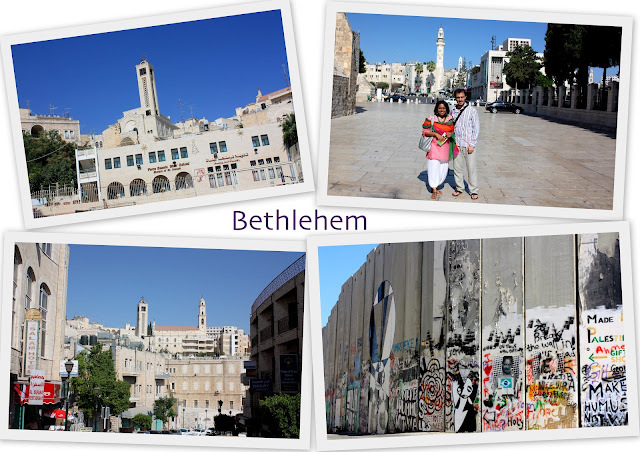 Although we landed in Tel Aviv, we headed straight to Jerusalem with a shared taxi that we booked at the airport directly. 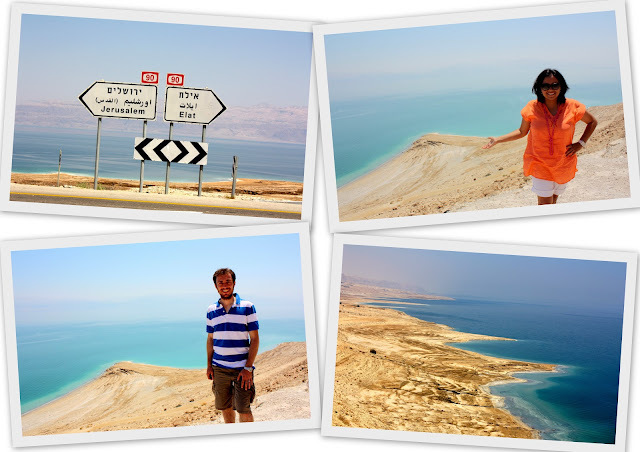 There's a lot to cover about Israel in different segments so for now, here's a video that gives you a quick glimpse of the country! Up next, historic Jerusalem!